small surface area for good quality. .5 x 1 Inches, 1 x 1 Inches, 1 x 2 Inches, .75 x 5 Inches, 1 x 4 Inches, 2 x 2 Inches, 2 x 4 Inches, 2 x 6 Inches, 4 x 6 Inches, 6 x 6 Inches. 1 x 1 Inches, 1 x 2 Inches, .75 x 5 Inches, 1 x 4 Inches, 2 x 2 Inches, 2 x 4 Inches, 2 x 6 Inches. 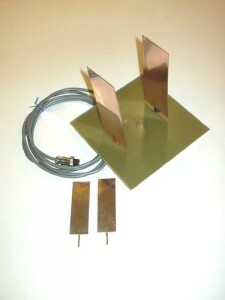 Our Copper Electrodes are medically pure electrode. .75 x 5 Inches, 1 x 4 Inches, 2 x 2 Inches, 2 x 4 Inches, 2 x 6 Inches. Palladium, Rhodium and Germanium are availabe on special order.